At Optimation we design and fabricate many skid systems. These systems are used by manufacturers for a broad variety of applications. Skids can be built as carts, in frames, in shipping containers or trailers. They can be built as prefab production lines units that can be bolted together to form larger systems. Physical layout can be tailored to the complexity, geography and environmental conditions the skid needs to perform in. Some are mounted indoors in factory conditions, others may ultimately be located in the arctic, or on an offshore oil platform. Applications also vary. Some are used for chemical delivery or small scale chemical processing. Others have been used for hydrogen distribution, high pressure test systems, food processing or testing medical devices. Skid systems have the advantage of being built in a shop in controlled conditions and then installed in remote or challenging locations. Today’s process industry is comprised of many intelligent control systems, connected via some wired or wireless network to allow process information to be viewed and controlled by an operator interface. Earlier this month, Optimation participated in a Process Solutions User Group put on by Rockwell Automation located in Houston Texas. This event consisted of over 1000 colleagues and software and equipment experts, who joined together for this event to discuss where they are going with new products, and solicit feedback from users regarding successes and challenges faced in current releases. 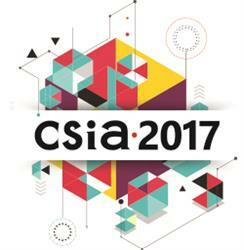 I spent last week at the annual conference of the Control Systems Integrators Association (CSIA). Since it was founded almost 30 years ago, the CSIA has been the leading force in advancement of manufacturing automation in the United States and increasingly around the world. At last week’s conference, over 500 owners and C-level executives from more than 200 automation firms came together to learn, share and teach. They have discovered that “co-opetition” is one of the best ways to grow and improve themselves. Manufacturers utilizing control systemswith obsolete components are faced with the daunting task of needing to replace their system, even though it may meet their production needs and is very well understood by the operations team. What can be done to help improve the success of a control system migration? The ROI of a migration project is sometimes difficult to justify. It is often viewed as an "insurance policy" against losing the ability to replace a "likely to fail" subcomponent. In many cases this type of justification gets postponed for many years but most likely there are features of a new system that can improve a migration's value. One of the relationships that has been foundational in Optimation’s growth and success over the years is the one we have with National Instruments. NI is the test, measurement, and control systems innovator based in Austin, Texas. For over a dozen years, Optimation has been a partner with NI. We have together been engineering, deploying, supporting, and training in innovative solutions based in the NI ecosystem. Applications range from medical device testing to very high-pressure test system design and fabrications, to custom programming and software design. Our clients have benefited from the combination of Optimation’s creative engineers and developers with NI’s state-of-the-art suite of open software, innovative solutions, and globally-sourced electronics and systems. It strikes me, in recent days, that some of the most heated rhetoric is aimed at several “threats” to our American essence. That is: Russian hacking, class envy, and (gasp!) Automation! They stand accused of challenging our very democratic foundations, tearing us apart as a people and turning human beings into commodities and turning us one against the other. Many companies employ systems of interconnected piping, pumps, accumulators, filters, heat exchangers, etc. and associated control systems to produce a specific set of conditions or products in a manufacturing or production process. Optimation specializes in this space, delivering such systems on skids or in pods for food, chemical, industrial coatings, or other products. Often these systems are designed and engineered to yield an environment for controlling processes using gases such as nitrogen or argon, etc. This requires use of specific technologies and materials, combined in such a way that they not only deliver the right pressures and volumes, but also employ the proper materials, fittings, piping, and valves. We also must consider the safety features that accompany such conditions in the presence of electricity which introduces a whole other set of risks.